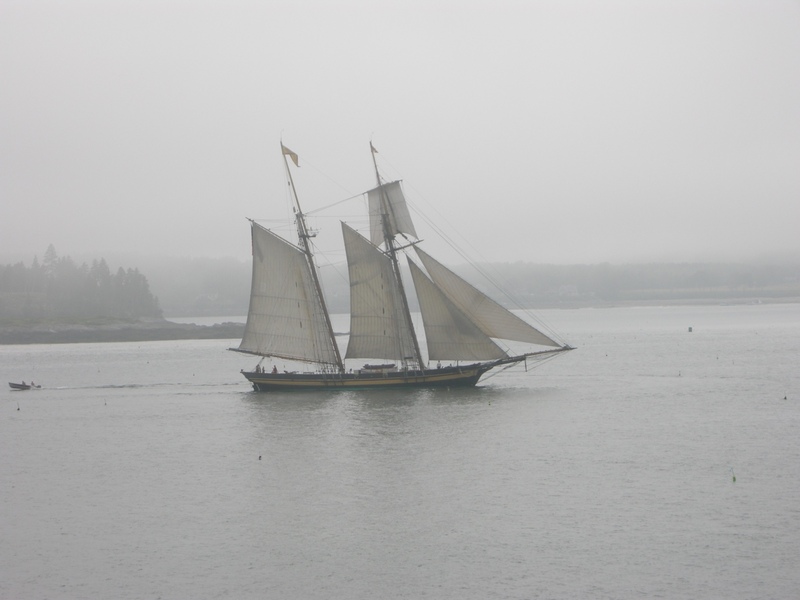 Gorgeous yachts and sailboats cruise around Casco Bay, Maine, all the time. My blog posts generally contain a lot of substantive content supported by photos. 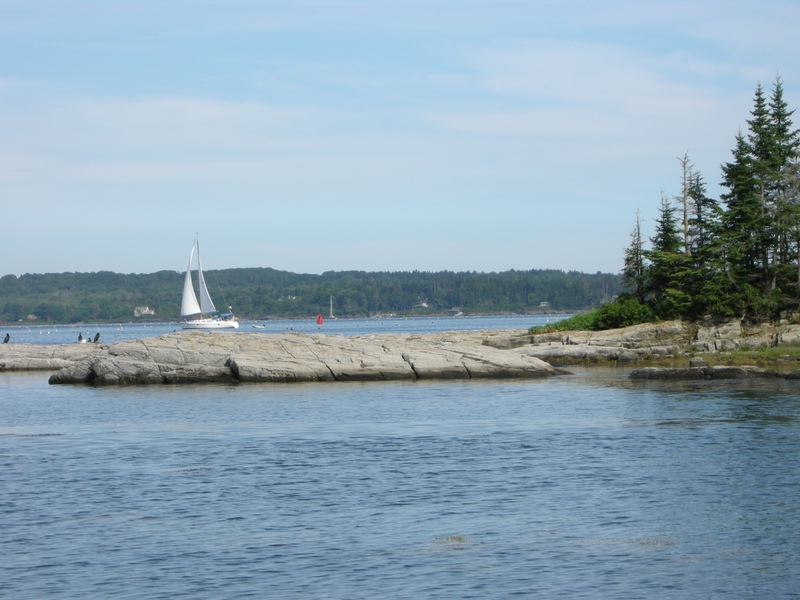 I thought I would take a break from that approach with this post to show my many readers from all over the world and from other parts of the US photos of the Maine coast. 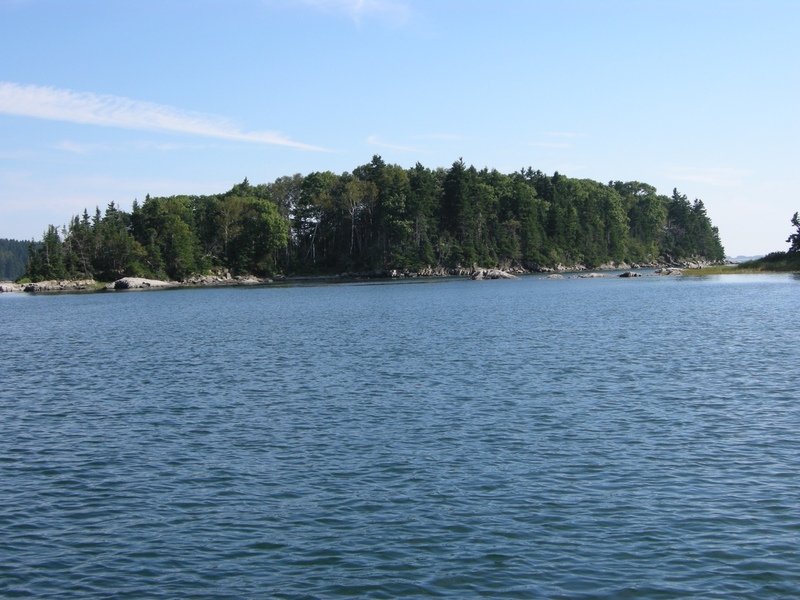 Maine is a state located in the continental US in the far upper northeastern corner in a region called New England. It is one of the least populated and least developed US states. 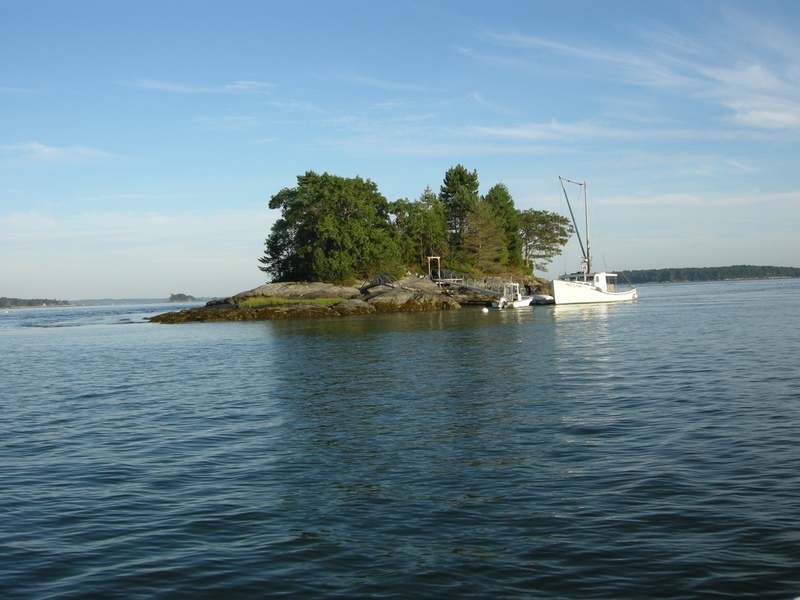 All the photos I am going to show you were taken in Casco Bay, which is located in the southern part of Maine right off Portland, the most populous city. 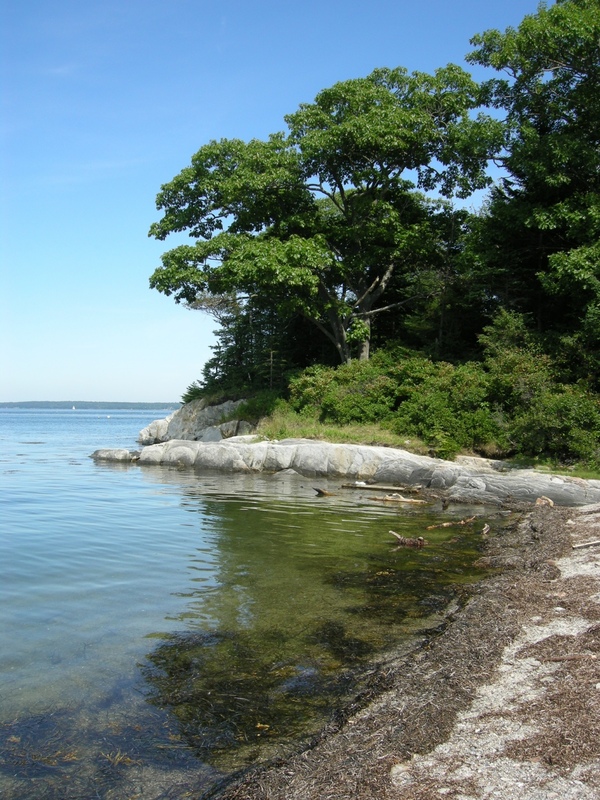 Almost anywhere in Casco Bay or along the coast could produce photos like these, but most of these photos were taken on one small island. 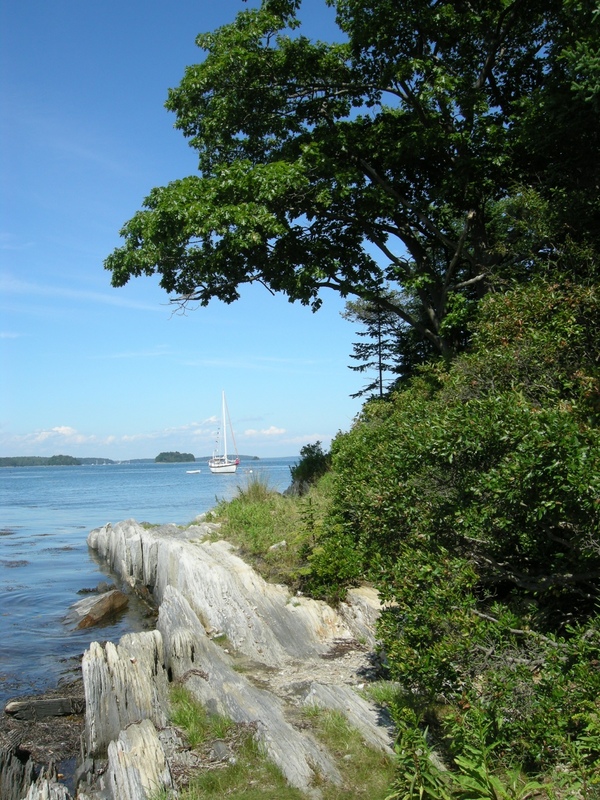 As we sail off on our exploration of the Maine Coast, keep in mind that the plants you see are almost all native. 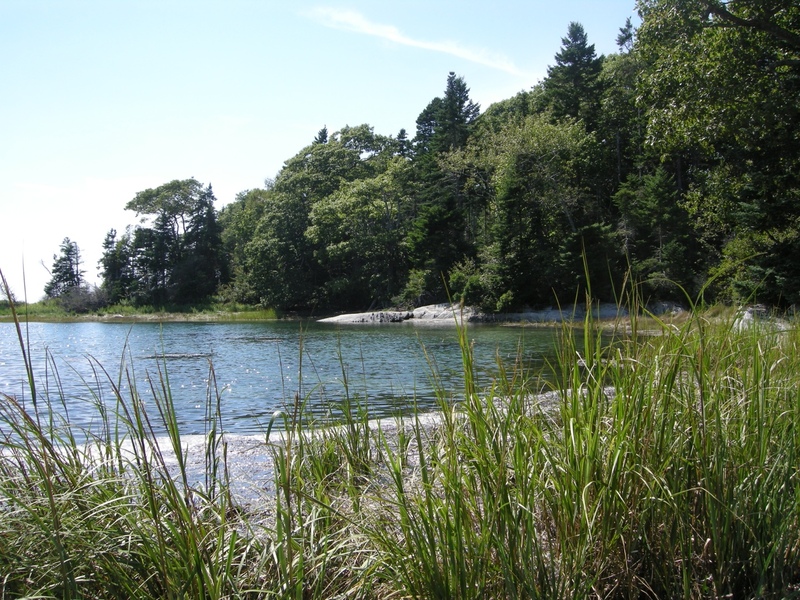 Unlike most parts of the US, the native landscape is relatively undisturbed in Maine. That is why, at my family’s home in Maine, I garden almost exclusively in containers. The native landscape is more beautiful than anything that I could create. We end with the obligatory sunset, beautiful and different every day. I hope you have enjoyed your tour and will consider visiting Maine someday. 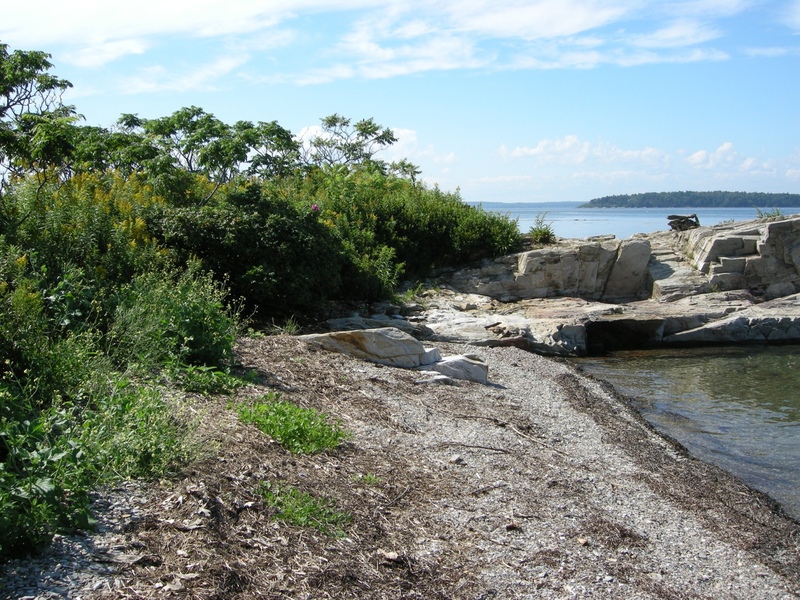 This entry was posted on August 23, 2012 at 11:57 am and is filed under Uncategorized with tags Casco Bay Maine, Maine coast, native plants. You can follow any responses to this entry through the RSS 2.0 feed. You can leave a response, or trackback from your own site. Lovely coastline, you never know, one day we may get over there! Last year you had a blog about a daylily garden that you visited just outside Freeport. I kept the address and visited it with my husband and some friends when we were in Maine this July. The only way we found it was by using our car’s GPS system! What a beautiful place – beautiful and unusual daylilies as far as you could see. Walter Young himself gave us a tour and I came away with three new daylilies for my garden. We visit Maine every year and love the gardens there – they never seem to look hot and tired like ours in New Jersey at this time of year. 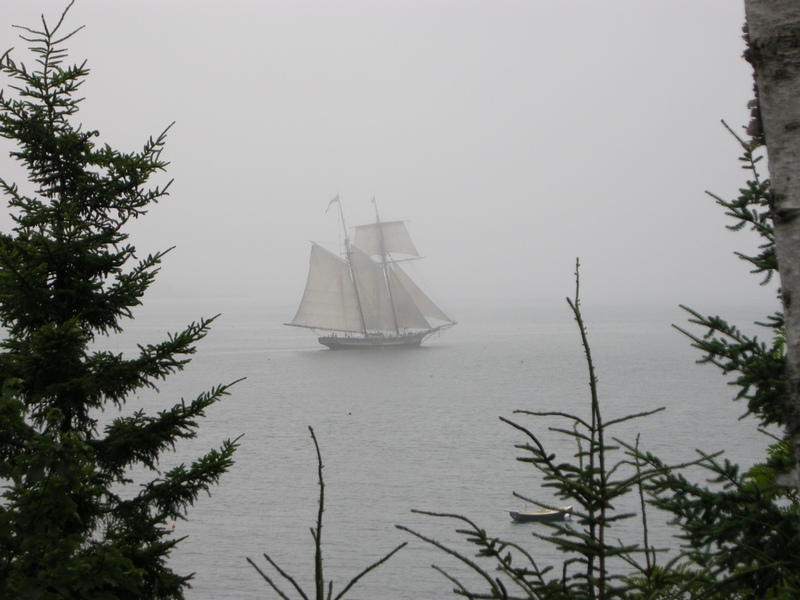 I have forgotton how beautiful Wish I was on that schooner! 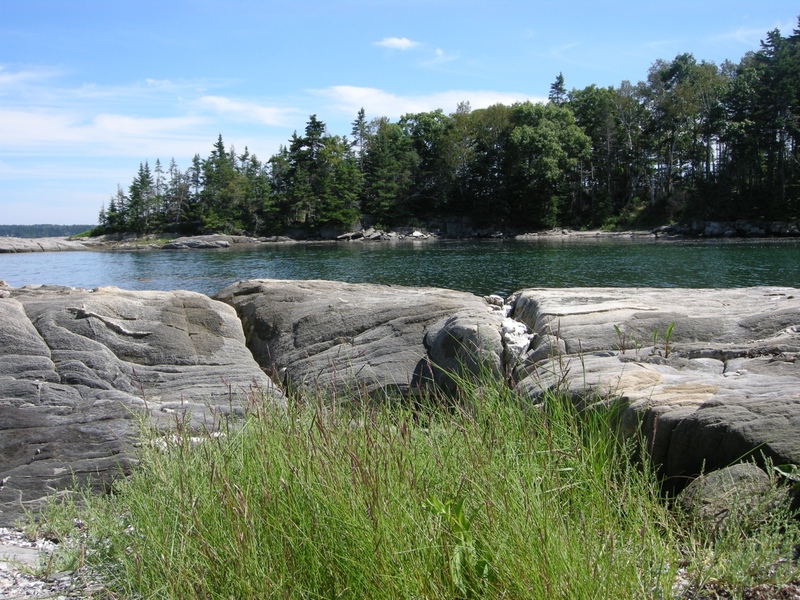 Your photos are a great collection of the views of the rocky coastline of Maine. 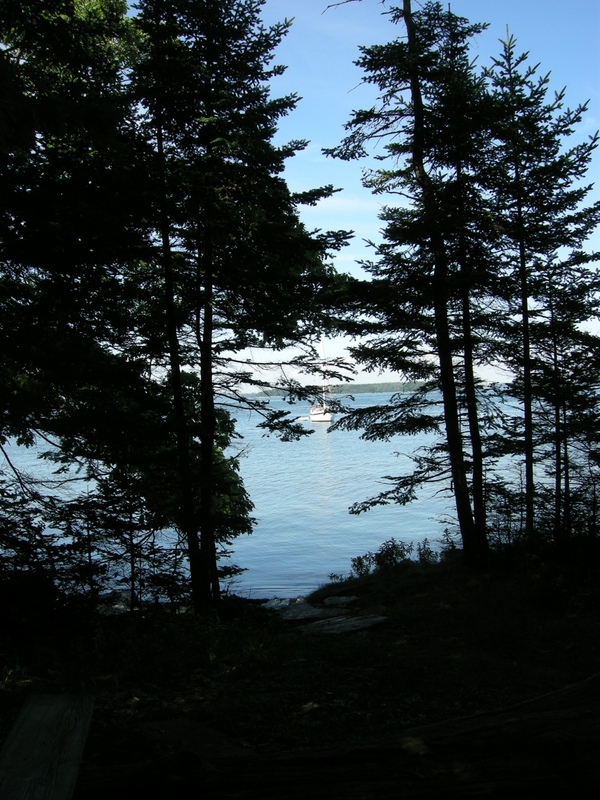 We have talked about going to Maine and explore a bit, hopefully one day we will. It’s on my bucket list… hope to visit on my way to Nova Scotia… someday. Closest I’ve ever come is Gloucester, Mass. Beautiful pics! Such beauty! Maine is one of the few states I have yet to visit. Your photos definitely make it enticing! One of these fine days I will make it up there! Such pretty images, Carolyn, and you did catch a pretty sunset. 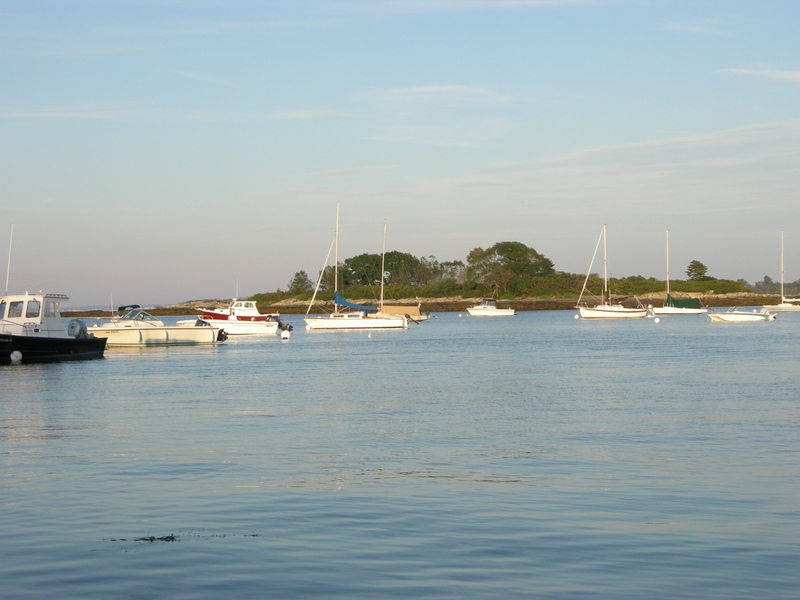 I too could not get enough of those large sailing boats, they just go hand and hand with the Maine coast. We have a number of them here in the Buffalo area on Lake Ontario, but you very rarely see me photographing them as the shoreline is not as picturesque. I like that tiny island in your photo, I don’t remember that one. Well now that you have shown the whole world how beautiful it is, it won’t remain quiet and peaceful for long. Carolyn, I’ve only been back in Pennsylvania a few days, and these photos made me intensely homesick. A wonderful evocation of a special place. Stunning… and it reminds me of Door County, Wisconsin. The two locales are often compared. I agree–why disturb such a beautiful landscape. Although container plantings are fun around the house, I’m sure. Thanks for sharing the beautiful views! Lovely place. It is good for all aspects of our lives to have a place surrounded by beauty. What a beautiful area. I love all the water, rocks, trees, and greenery. I would love to see it in person some day. Consider visiting? I grew up there so know of the many wonders of Maine. I miss it a lot and seeing all your lovely pictures reminds me of how much I miss it. 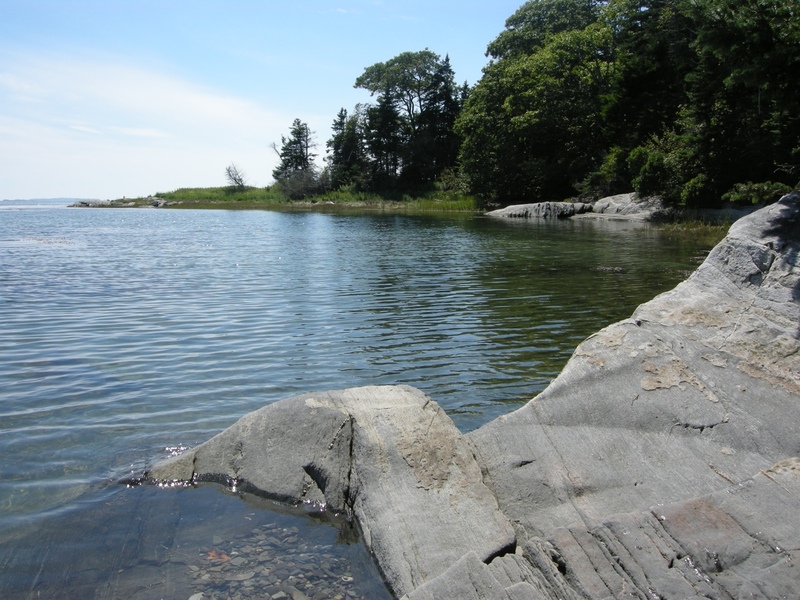 The Maine coast is truly beautiful, and very distinctive. I haven’t been to Maine in years, but always make the effort when I find myself in New England. The yacht in your first photograph is very impressive! Carolyn it is my dream to visit Maine sometime hopefully when I retire and have time to travel. 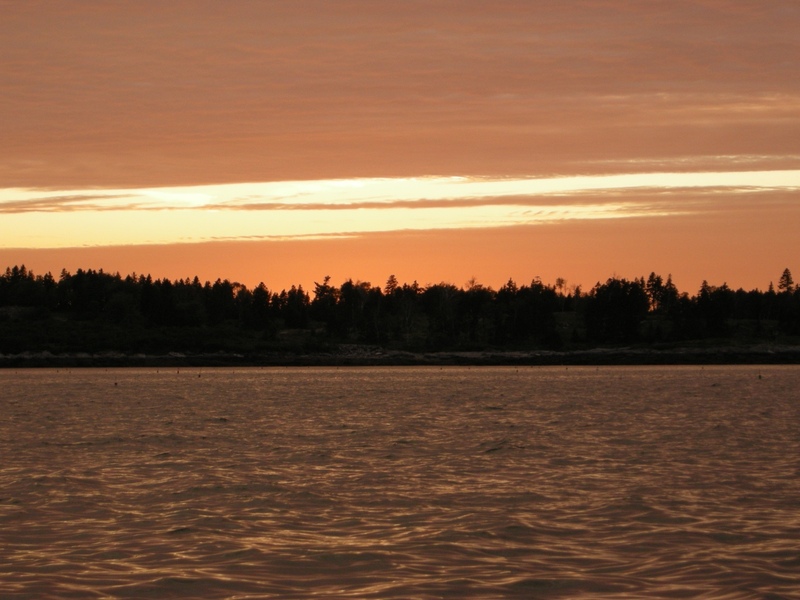 I will keep this area of Maine in mind…just amazing. 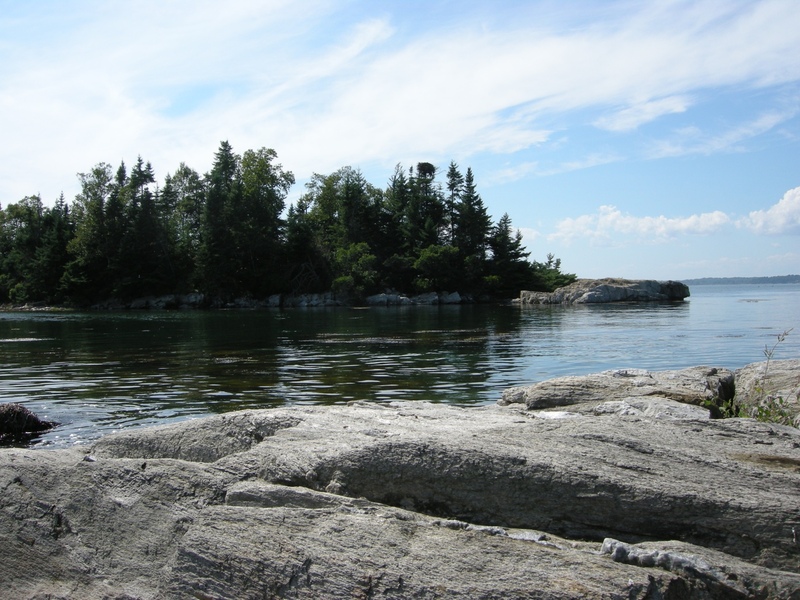 Shes a beauty, i would love to visit and take in the raw ruggedness of Maine. Thanks for the pics. I guess a virtual tour is second best to an actual visit. Hope you make it here. 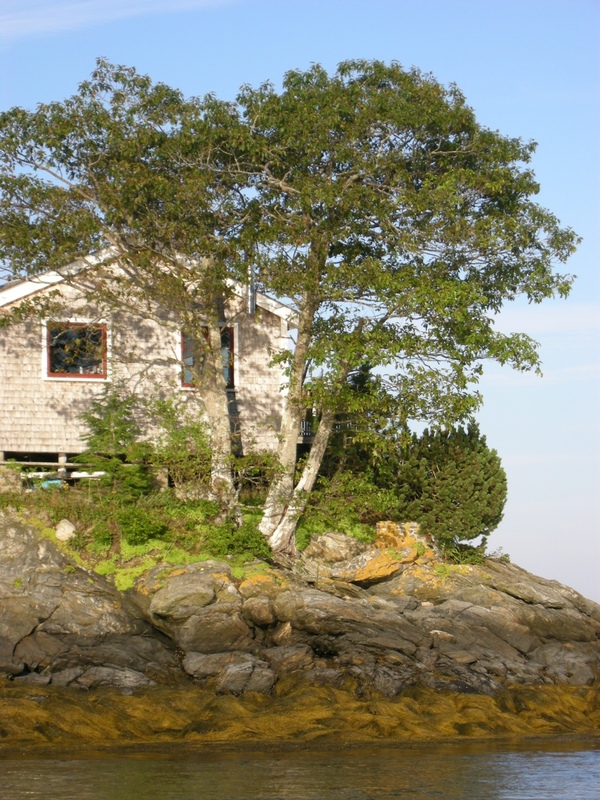 Frances, Gardening in Maine is actually ideal in many ways because pests and diseases are less virulent. I have never seen more beautiful perennial gardens. However, after running my nursery and gardening in PA all year, I am not anxious to do it here. I also truly believe that in tact native landscapes should not be disturbed even to garden. It was hard to leave Maine in the summer (but I haven’t) but it was easy to move away from the long winters and lack of spring. I am so glad you visited other parts of the US. Why do Americans come to Europe when the US is so gorgeous (and it is): for the culture, the food, the museums, the scenery…. 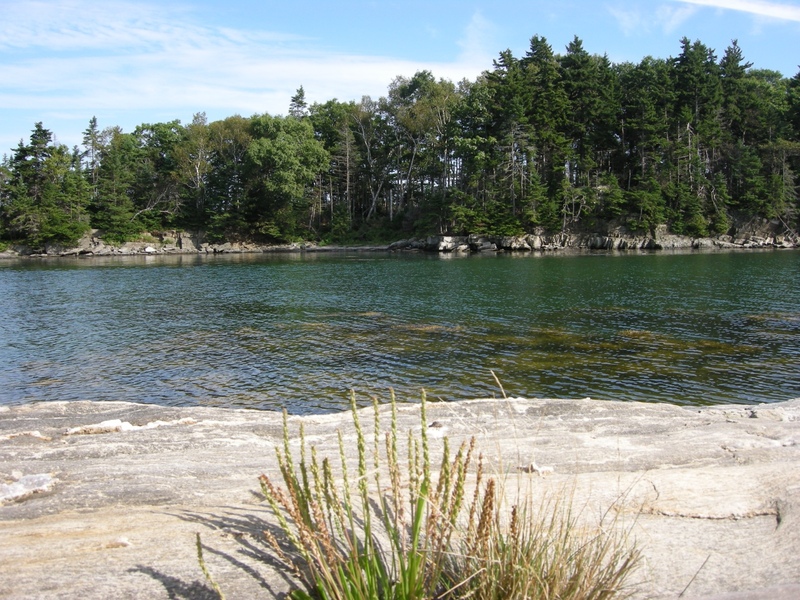 Carolyn, since moving to the east coast (just north of you in the Canadian maritimes) I’ve often thought of visiting Maine but certainly your photos have convinced me that I must do so. and preferably soon. 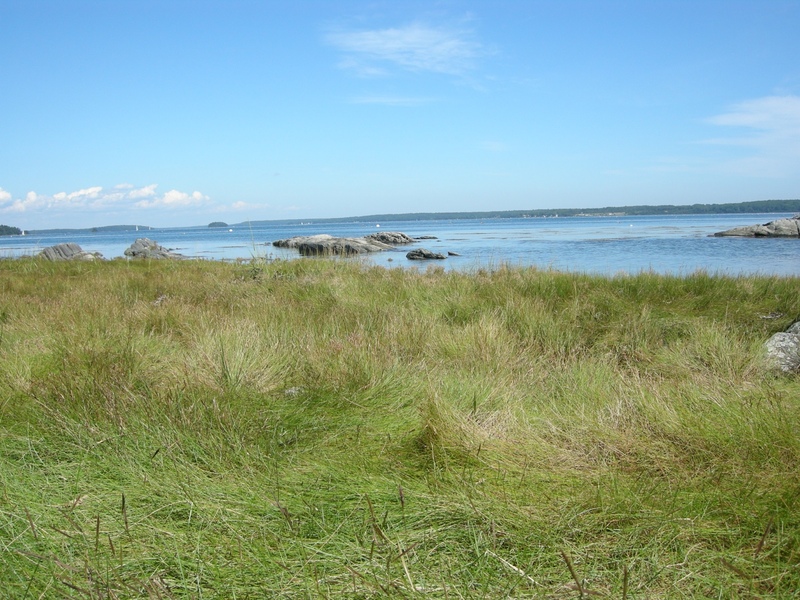 Carolyn, Your beautiful pictures have made me homesick for Nova Scotia where I grew up. It is very much like Maine. 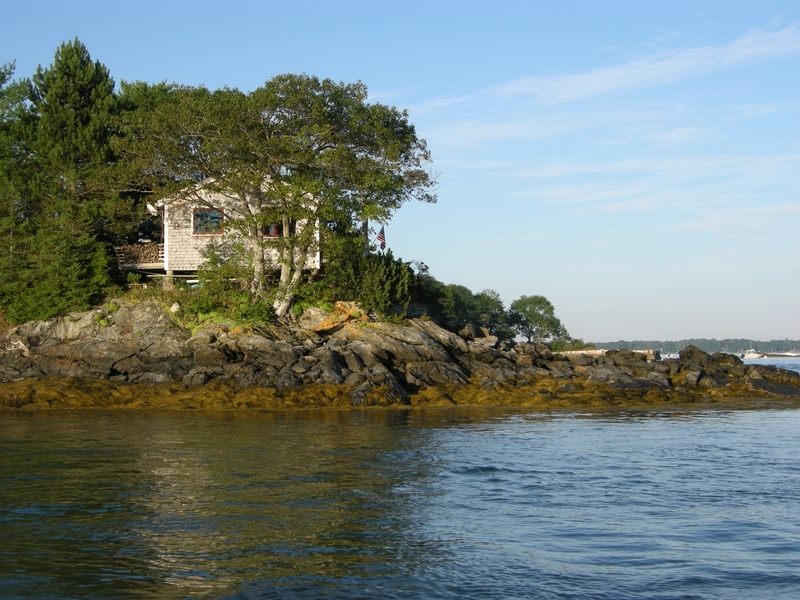 The pictures of Maine that I had in my head were remembered from watching Ina Garten’s cookery programs. They never showed the untouched natural beauty though, so I’m glad I saw this post. 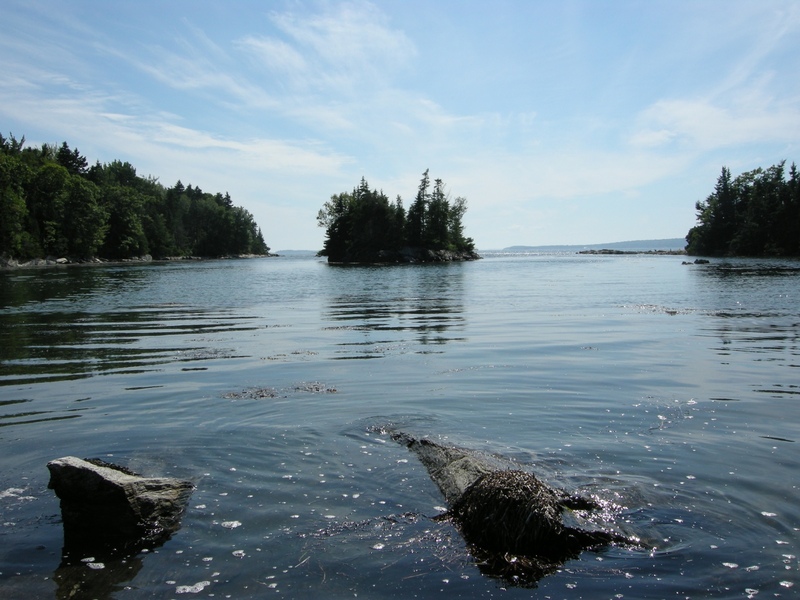 Gorgeous photo pictorial… I don’t really know much about Maine. 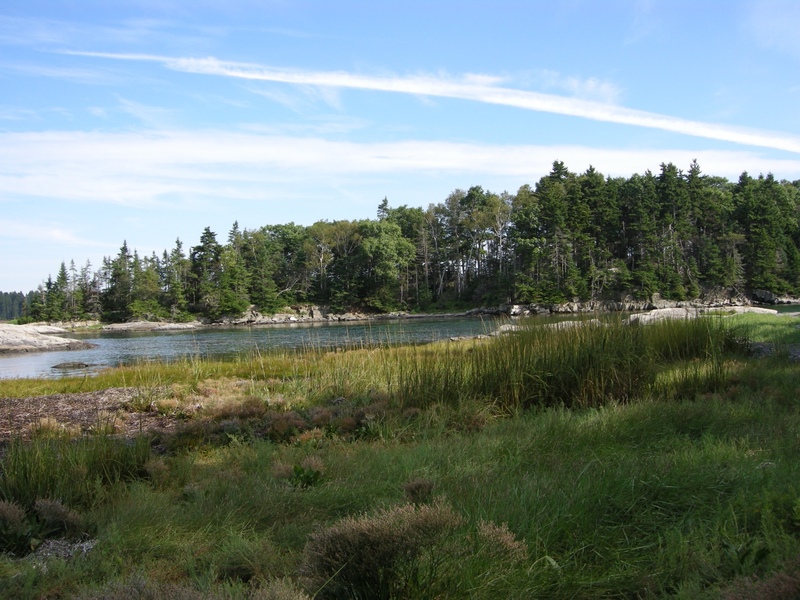 I was able to visit Maine about three years ago and it is gorgeous–I would love to go back for another visit. Beautiful photos!